Business strategy is most resilient when its purpose is beyond profit making, and when CSR is more than charitable donations, and offsetting its carbon impacts, not just tree planting. A resilient business focuses its resources and innovations to address society’s most pressing challenges, such as responsible resources use. More consumers expect manufacturers to embed resource efficiency in their processes; more investors direct their financial capital towards renewable resources and cloud-based services mean more citizens can share assets they don’t own. There is a number of frameworks and standards for businesses to demonstrate how they address their environmental impacts (https://www.iso.org/iso-14001-environmental-management.html), deliver corporate social responsibility (http://bcorporation.uk/) or reduce their carbon footprint (https://www.carbontrust.com/client-services/certification/carbon-trust-standard/). Many tackle specific issues, some of global significance. But they can be standalone systems, empty shells, that do not capture an organisation key external impacts. System thinking is not always enabled and one goal can be achieved at the expense of another. 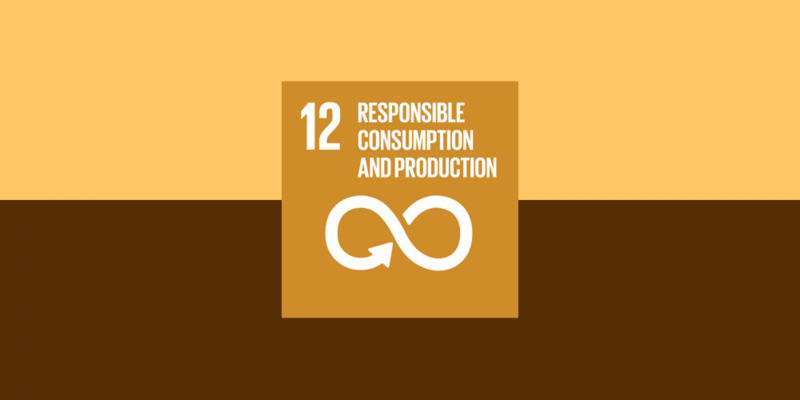 The 17 UN Sustainable Development Goals (https://sustainabledevelopment.un.org/?menu=1300) are human basic needs to strive as individuals and communities in a world of finite resources. They all resonate with our universal values, some more than others, no matter where we live and what work we do. Beyond Green ran a number of workshops with manufacturing businesses, housing associations (https://beyond-green.com/2018/06/27/aligning-business-strategy-with-the-sustainable-development-goals-melville-housing-association-workshop/), construction teams and board members, and communities groups. Difficult conversations took place. However, unlike with environmental or climate change discussions, people didn’t shut down because they felt hopeless or guilty (the overseas holiday). Rather the opposite. Attendees felt inspired, motivated, empowered. They naturally moved on to actions planning and goals setting. By bringing risks and opportunities, we helped them finalised a robust and ambitious strategy embedding the Sustainable Development Goals (https://beyond-green.com/2018/05/08/ghi-contracts-business-strategy-iso14001-new-standard-and-sustainable-development-goals/). It is so uplifting to see people responding to the SDGs in this way. The Scottish government, one of the first worldwide to commit to achieving the SDGs, recently published their outcomes based National Performance Framework (https://digitalpublications.parliament.scot/ResearchBriefings/Report/2018/4/12/National-Outcomes-Consultation-2018) which aligns each indicator with relevant SDGs. This is a very clear way to show how the country is performing against national targets and the UN framework. Importantly, the NPF indicators are directly relevant to people and industries in Scotland, making them meaningful to the business community. However, capturing business data relating to sustainability performance beyond resource efficiency is focused on public organisations and large companies. Sadly, this not an inclusive approach and doesn’t embrace the small and medium businesses which make up 98% of all private sector enterprise in Scotland (https://beta.gov.scot/publications/small-business-survey-scotland-2016/Small%20Business%20Survey%20Scotland%202016.pdf), and can act as a conduit to spread the goals into communities and Scottish homes. People working in these businesses could be willing to take action, knowing their contribution will be measured! In addition, they might be missing an opportunity to demonstrate their resilience. They certainly are missing on some quick wins that embedded resource efficiency can provide. With this in mind, Beyond Green is on a journey to develop a sustainable platform, the Arena17 (https://beyond-green.com/2018/06/04/thearena17-beyond-green-sustainability-platform/), to make it easier for SMEs to identify resource savings and measure their contribution to the SDGs and NPF. Joining us in the “Arena” is a number of partners including digital skills academy CodeClan (https://codeclan.com/), accountancy firms, regulators and sustainability experts. This growing community vision is to combine financial information with data from real sustainability projects. Using cloud-based technologies, the Arena17 (https://beyond-green.com/2018/06/04/thearena17-beyond-green-sustainability-platform/), will provide SMEs’ with actual, relevant and reliable sustainability impact reports in real time. For SME enterprises, knowing how they contribute to Scotland’s national performance objectives will be critical in driving change, inspiring others and building competitive and resilient businesses.